I’ve been AWOL from blogging which is not good. Blogging is my way of holding myself accountable. I ate a lot in my absence from blogging and exercised little. I binged at Thanksgiving, and I’m not quite sure why. I think that the stress of the holidays was getting to me. Poor excuse, but it happened and I’m a few pounds heavier thanks to it. The weight gain has pushed me far enough behind my “Last Chance Challenge” goals that I must revise it. Some good news is that I can add the gym to my mini goals because starting tomorrow, the hold on our membership will be lifted! This morning I weighed in at 245 lbs. I am revising my goal weight for January 1st. My new goal is to lose 10 pounds this month, and finally reach 235 lbs! I haven’t been able to reach that weight yet, and I’m excited to be down there! I know that making any goal besides maintaining is tough this time of year, especially for me, but I like to always have a goal in mind to keep me motivated and focused! I am also going to make it a goal to go to the gym at least 3 times a week this month. I have missed the luxury of having the gym available at any time. Since my husband is working a different shift than I, at the moment, we are going to go to the gym separate for the first time since we have had the membership. We really enjoy going together, but I will take advantage of our time apart because this means that I can go to the gym directly after work. There is going to be some planning ahead (bringing the gym clothes/shoes to work, meal planning again, etc.) but I am looking forward to that! I worked out last night about an hour before bed. I did some yoga thanks to my Wii Fit. It's been a while since I've done yoga and oh, what a feeling! I feel so flexible and limber today! No pain or stiffness when getting out of bed, and going down the stairs this morning. I feel like a fog has been lifted. It makes me crave for more. I am craving more exercise! How wonderful is that? That isn't the only thing I am craving today. My co-workers are ordering Chinese for lunch. I love sesame chicken with fried rice and wonton soup. Mmm! It was hard to say no, but I did. I made zuppa toscana last night and brought in leftovers for lunch today. I also packed a salad. Dinner is going to be a little tricky, because my husbands step fathers birthday party is tonight. I'm going to just do the best I can and make sure to exercise after the party! I can't wait to wake up feeling this good, again! Okay! My crazy week of obstacles is over and a new week has begun! In effort to stay within compliance with my "last chance challenge" I must say that I have not lost any weight since my last weigh-in. This isn't all bad considering the week that I just went through, but that does put a little more pressure on meeting my goal for new years day! This week I am excited to have only two obstacles to overcome. Thursday is a birthday party for my husbands step father and Sunday is a baby shower for my husbands cousin. I can deal with a couple of obstacles, no problem! Since last week I didn't meet my goal of exercising 3 times a week, I am going to focus on doing that this week. This will be our third month with our gym membership on hold and I am missing it dearly! So far today I have walked 8 flights of stairs and I plan on exercising some more this evening. Very thankful for my Wii Fit today! A new week upon us which means new challenges have arisen. Before I discuss my challenges though, I wanted to share a bit about my weekend. It wasn’t very eventful, but I did get a lot done! I did the photography for a wedding a month ago and I finally finished editing all of the photos yesterday. It felt good to be finished with that project and I am excited for the bride to see my work. It seemed as though when I wasn’t editing photos this weekend, I was taking them. I had a quick engagement session on Saturday and fall portraits for my sister on Sunday. Maybe I’ll get permission to share a few of my sisters on here because I was really happy with the shots! My sister is my favorite subject for photos because she’s always willing to go through with my crazy ideas. 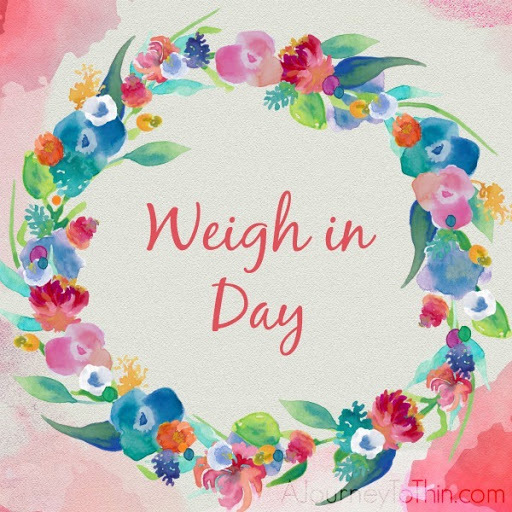 A part of my Last Chance Challenge is to weigh-in weekly. I ended last week weighing in at 242.2 lbs. That’s a loss of 5.8 lbs for the week! Not bad for my first week back from our vacation.! I am hoping to get out of the 240’s by the end of this week. Tonight, after work, I am going to visit one of my friends that I haven’t seen in a few weeks. I am grabbing a bottle of wine and we are going to talk about our recent vacations and just catch up with one another. She is making macaroni and cheese for dinner and asked if she should make enough for the both of us and I declined. I am going to be eating a late dinner tonight, by the time that I get home, but I brought a salad to eat on my break at work which should hold me over. Tuesday, I am going out of town for business. It’s a day trip and my coordinator is ordering pizza for the meeting. Pizza I can deal with, but that’s not the worst part! The snacks for the morning and afternoon were open to everyone as a potluck. We have people bringing donuts, brownies, cookies, chips and all sorts of goodies. I am planning on packing a salad to eat with my pizza during lunch, but the snacks will be hard to avoid. I am going to do my best and may even bring some carrots for a snack of my own. Wednesday, I am going to my mother-in-laws to help make some baby shower favors for my cousin-in-laws baby shower. I offered to bring a bottle of wine and I’m sure that there will be snacks there, too. I am going to quickly run home to make dinner after work, then arrive with a full stomach to avoid eating the unknown goodies that may or may not be there. Saturday is my grandmothers birthday party. Cake and ice cream is pretty much a given. My dad is hosting the birthday party so that also means that lunch will most likely be provided. It may be another round of pizza/wings or maybe even Chinese. It’s hard to tell and I’m going to just have to do my best in that situation, too. Sunday is my counsin-in-laws baby shower which will have potato salad, broccoli salad, pasta salads, etc. Not to mention, more cake! Basically, if I am able to get down in to the 240’s by the end of this challenging week, I am going to be very proud of myself! I think I can, I think I can, I think I can! I feel like if I am not trying to better myself, I am just not living to my full potential. I didn't always feel this way, but I am happy that I do now. Not only am I working on losing weight, but I am also working on bettering all aspects of my life. Most recently I have been working on our finances. I just finished reading Dave Ramsey's "Financial Peace, revisited". My aunt gave me this book for my college graduation, which was over 3 years ago. I didn't care to read it until now. I'm happy that I did. Needless to say, I am working on a budget and will be trying some new techniques in how we spend our money. First step is to start paying off our credit cards, which won't be hard at all. We have two of them and we don't use them much. I am also going to talk to my husband about trying the envelope method. I'm not sure if anyone else uses this, but please let me know if you do. I just read a bit about it and for those who are interested in hearing about it, the envelope method is where you keep envelopes for different areas in your budget and only use the money that is in there; when it's gone, it's gone. For example, if I budget that we will only use $400 for groceries/dining out this month, then at the beginning of the month I will put $400 in the evelope. Whenever we go grocery shopping, we take the money out. If we want to go out to dinner, we will have to see if there is enough money in the envelope. It's said that it will make you more concious of your spending by using cash instead of your debit for all purchases. It makes sense to me and I think that it would be fun to try it! 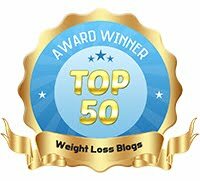 If you are reading this then you already know that I have changed the name of my blog and my sparkpage to “Goal of Losing”. The change feels good! So often in my life I have said to myself or to others that I have a “goal of losing” blank amount of weight. These words have been with me ever since I can remember, especially around new years resolution time. I had been thinking of a new name to use for my blog and sparkpeople, and I feel like this one was the most simple for users to remember and it was straight to the point. Hope the change doesn’t cause much confusion! I'm glad that you all enjoyed my photos from the cruise. Those were just a few; we ended up taking over 500 pictures throughout the trip! After seeing all of the delicious food photos, I'm sure that you can understand how I put on some vacation weight! When I returned from the cruise I weighed in at 248 lbs. Eeek! I had gained a couple of pounds prior to vacation, so the total vacation weight gained was about 7 pounds. I'm working on getting rid of my vacation weight very quickly! I've found in my weight loss journey that the quicker you put the weight on, the easier it is to get it off as long as you start working on it soon after the gain. Needless to say, my little moto seems to be working for me. 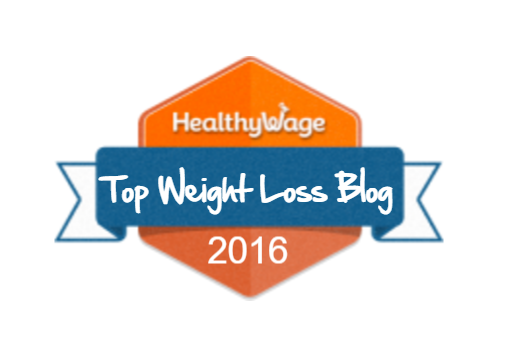 I'm losing two pounds a day right now, just by eating within calorie range! I know that this will slow down, but I'm going to take advantage of the losses while I can! My game plan is to lose as much as I can this month with light exercise 3 times a week. Keeping my "last chance challenge" in sight! The water was nice and warm! Sun burned but loving life! Good food, good times, great trip! Thinking ahead to two months from now, we will be starting a “new year”. Every New Years Eve that I can remember had me making the same resolution for the year ahead; a resolution to lose weight. I can honestly say that 2011 is the first year that I have lost a significant amount of weight (30 pounds) without gaining all of the weight back before the end of the year. I know that we aren’t at the end of the year yet, and I know that I have gained a bit from my cruise, but with only two months to go, I am taking a moment to reflect and realize that I’ve still got some time left to reach even higher. I’d like to end the year with a total of 40 pounds lost. This would bring me down to 228 lbs. How am I going to accomplish this goal, you ask? Well, with a challenge of course. I know, some of you may be thinking, “Another challenge?” The truth is that I don’t think that I will ever be finished challenging myself. The challenges that I create for myself keep me motivated to continue on. If it works for you, I say go with it! Creating my own personal challenge is always a fun process, too! Of course, first things first, I have to think of a challenge name. Just when my husband didn’t think that I could come up with a cheesier challenge name, I surprise him yet again. It makes me laugh because he has to hear my cheesy challenge names a lot more than any of you. “No, we can’t go out to eat because of my ‘enter cheesy challenge name’ challenge!” or “Ready for my weigh-in for the ‘enter cheesy challenge name’ challenge?” By the end of my challenges, he is more than ready for the next one; that is, until he hears the name of it. Not only do I have to think of a name, but then I have to think of the length that it will last. This one is obviously going until the end of the year. There are also the mini challenges within the challenge to think about. The challenge here is to lose enough weight to get down to 228 lbs. by the end of the year. The mini challenges would be to weigh-in weekly, exercise at least three times a week, etc. Another fun thing about challenges is that there is usually a reward. I reward myself for every 5 pounds lost, but if you want to make your own personal challenge, you could make your own reward system, too. A nice reward for this particular challenge of mine is that I will be able to open the box in storage marked “225 lbs”. In that box is basically a whole wardrobe of clothes from 4 years ago. What a reward it will be to try on those clothes, again! Challenge name: Last Chance Challenge or LC Challenge for short, of course. Considering that the next two months are my last chance to end the year with a 40 pound lost, I think that the name works! I’ll update more about the cruise later. My “Last Chance Challenge” begins now!